A couple of weeks ago, OnePlus launched a special edition of its latest phone — the OnePlus 6T. 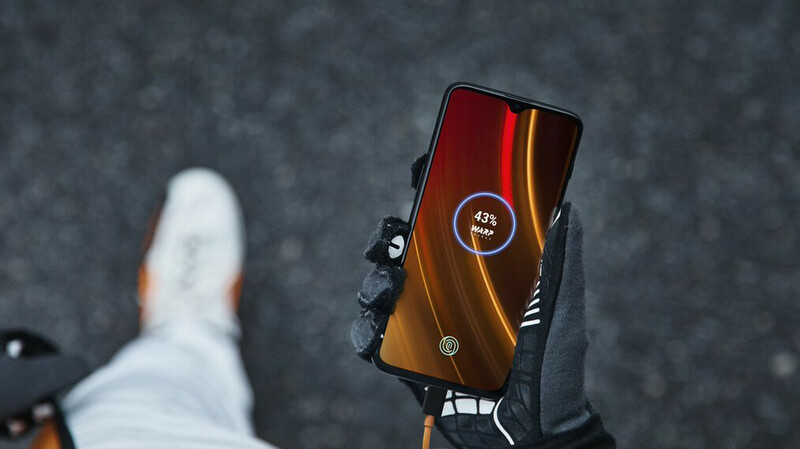 It comes with an insane 10 GB of RAM and a faster version of Dash Charge, now called Warp Charge, which gets you 50% of battery in 20 minutes of charging. Alongside the practical upgrades, the McLaren edition comes with an orange theme all over — the included data cable is orange, instead of the OnePlus signature red, the phone's chassis has orange accents, and the device's UI has a special skin, which is mainly black and orange. One element of the new skin is a cool fingerprint scanning animation for the in-screen scanner, kind of looking like a nitro burst. You know, to keep with the whole theme and style of "Speed!". Well, it turns out that you can get this animation on any non-McLaren OnePlus 6T. The method was discovered by a member of the XDA Developers forums and does not require any rooting or hacking black magic tricks. All you need is to make sure you are updated to Oxygen OS 9.0.9 and you download the app Settings Database Editor. Once within said app, make sure System Table is selected from the top-right dropdown menu and scroll in the list to find "op_custom_unlock_animation_style". When you find that line, tap on it and press Edit Value. Now, change the value to 3. You should be set. Of course, as you might imagine, Settings Database Editor kind of has the power to wreck your smartphone experience, so we suggest you don't tinker with the values in there beyond what you came here to do. I stood with my Pixel 2 XL.